We are cheap. We are fast. Call us now for 24 hour tow truck service in Tempe. Discount for ASU students. Go Sun Devils! At 202 Towing, we operate 24 hours a day, 7 days a week and provide cheap towing services in the East Valley, including Tempe, Mesa, Scottsdale, Chandler, Gilbert, and Phoenix. When you are broken down on the side of the road, you want a towing company to handle the situation for you quickly and professionally. We are a family-owned-and-operated business and we strive to be courteous and professional with every job we do. For almost 10 years, we have helped customers transport their vehicles with dependable results. Regardless of the time of day, you can always turn to us to be there when you need us. And, we are affordable at $75 to get started. Don't waste time calling around to shop for prices. 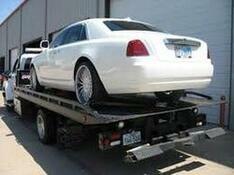 All towing service providers are about the same price. Our difference is our customer service. Go with 202 Towing for all of your Tempe towing services. If you searched for a tow truck near me, you found us! Just tap below to get us on the phone.